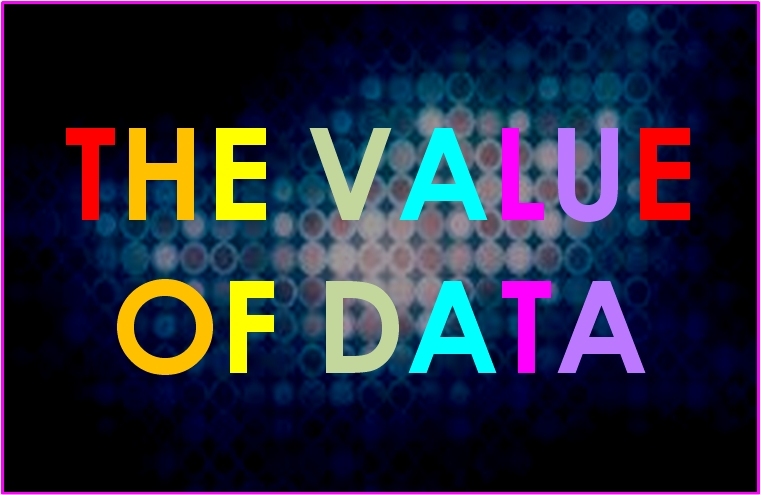 Consider this: Does all data have value? but you still have to distrust it and use your own intelligence and judgment. There is a touching belief that all markets are rational and that a company’s value is accurately reflected in the current share price multiplied by the total number of shares in circulation. The thing is, this doesn’t square up with formal accounting practices and financial reporting, as they now stand. So, there is a sentiment that the gap between capitalisation and accounting valuation must be due to some less tangible factors, which is true, and for many years it was accepted that aspects such as good will, were not in fact measurable or even easily manageable. In the nineties, Leif Edvinsson and a team of accounting and finance specialists at Skandia pioneered the accounting and reporting of non-tangible assets, which they called the Skandia Navigator, the focus was clearly on reporting the progress of the creation and use of Intellectual Capital (IC). What the Skandia IC team did, how they went about it, and how they presented their results, (as a supplement to their annual report,) made a lot of good sense. Now there is a movement to measure, value and manage all data as if it were a highly tangible asset, because, according to some, IT has been incapable of managing data because they don’t know how to measure it and they aren’t particularly well equipped to do so, a claim that is paradoxically made by people who are very much in the IT camp. But this is not about treating data as an asset but focuses on potential risks due to data loss, data corruption, quality issues, misinterpretation, misuse or whatever. Simply stated, a risk prevented from arising or a risk that is mitigated is not an asset, and risk management is not primarily about rigidly theoretical asset management and vice verse. Now, I won’t argue that it’s not a good idea to have an idea of the value of business assets, from either a quantitative or qualitative perspective, but I think there are more moderate, coherent and less fundamentalist approaches to the understanding and valuation of data, approaches that are more aligned to contemporary views of the understanding of the value of intellectual capital assets – unstructured and structured. What follows is a brief and high-level view of some potential options. It is important to understand that these definitions are examples and that in practice the descriptions and parameters must be determined and aligned in cooperation between the distinct business stakeholders, including business IT. Another aspect that is important to the understanding of ‘data as an asset’ is to be found in data value chains. The following diagram illustrates the DW 3.0 technique used to simplify the attainment of a consensual view of the understanding of this value. In order for data to be more than an operational necessity it requires context. Providing valid data with valid context turns that data into information. Data can be relevant and data can be irrelevant. That relevance or irrelevance of data may be permanent or temporary, continuous or episodic, qualitative or quantitative. Some data is meaningless, and there are cases whereby nobody can remember why it was collected or what purpose it has. Taking all this into account we can now ask the pragmatic question: what value does this data have? Which is sometimes answered with a: ‘no value whatsoever’. In order for information to be created to drive organizational operations and tactics we must have valid interpretations of data. Providing valid information with valid interpretations potentially turns that information into knowledge. Information can be correct, partially correct or incorrect; it may be relevant or irrelevant. The validity of information may also be permanent or temporary, continuous or episodic, and qualitative, quantitative or both. Some information may be relevant, irrelevant or misleading. Information derived from erroneous and incomplete data may be usable, but the outcomes of using that information may be unpredictable. Taking all this into account we can now ask the pragmatic question: what value does this information have? A question which can sometimes be answered with an ‘it is probably too early to say’. KNOWLEDGE: This necessarily refers to a subset of ‘business knowledge’ known as structured intellectual capital. The adequate, appropriate and timely application of knowledge (structured intellectual) requires wisdom; knowledge alone will no longer be good enough. Providing valid knowledge with valid interpretations potentially turns that knowledge into valid and executable strategies. Knowledge may be useless or useless; it may be relevant or irrelevant; it may even be wrong, even if we have named it ‘knowledge’. The usefulness of knowledge may also be permanent or temporary, continuous or episodic, qualitative or quantitative. Some knowledge may be relevant, irrelevant or misleading. Knowledge derived from erroneous and incomplete information may be usable, but the outcomes may be unpredictable. As they might say in Córdoba: ‘Give knowledge to a donkey and it will still remain a donkey’. Taking all of this into account we can now ask the pragmatic question: what value does this knowledge have? A question which can sometimes be answered with: ‘Isn’t it getting rather hot in here’. To paraphrase George S. Patton, for the purposes of business data, an imperfectly good pragmatic valuation of data executed today is better than a perfect theoretic valuation of data made in the next life. The valuation of data, information and knowledge is complex and involves many intangibles, and although some may view the data, information and knowledge chain as a closed process, this is not in fact the case, as each step of the process is influenced by a number of factors that fall outside of a simplified view of any theoretical or practical progress from data to wisdom. When I started in IT over 30 years ago I worked on some of the first large-scale OLTP projects in Europe. On one such project, the development, test and production the databases were continuously replicated. Every day, not one, but ten backups of the data were made, and then shipped to different physical locations. Thirty years on and some people are saying that IT has never treated data as an asset? The fact of the matter is that data is managed as an asset. In fact, some IT organizations may be taking exaggerated measures in order to protect the data and information in their care. That some people have issues with the contemporary management of data does not change the facts on the ground, and the perceived shortfall in the commercial exploitation of data is frequently and erroneously interpreted as the absence of asset appreciation and management. Moreover, even with generally accepted accounting principles there are tangible assets that are either of dubious value or are cost-absorbing liabilities. Finally, there may also be unintended consequences of an overzealous approach to the financial reporting of intangible assets such as data, and just as the value of tangible assets can be accidentally or deliberately overstated, so too could the value of data, which may well lead to a significant overvaluation of a business. Moreover, it’s not beyond the realms of possibility that big data lakes, data universes and dark data dungeons – the ones that apparently will drive trillion dollar economies – are in fact somewhat worthless. In this respect I think there is in some quarters an unhealthy fixation on the supposed (and as yet mainly unproven) value accruable from masses of data. Steve Jobs didn’t turn Apple around by relying solely on data and information, it was knowledge, and more especially the wisdom of knowing where, when, why and how to apply that knowledge that made the significant difference. “So, back home, I call all of my business managers together to discuss the next steps, and despite the misgivings of most of my department heads, and indeed my gut instincts, I become convinced that we should give The Taffia Connection a chance to tell us what they can do for us”. “So, to cut a long story short, I bring in The Taffia, they give me a dog and pony show on what they can do for us… full data integration, enterprise application integration, enterprise data warehousing, business intelligence, MDM, CRM, Data Quality, Total Quality, IT Business Alignment up the wazoo, and I find the message so compelling that we initiate contractual discussions with The Taffia Connection”. “As a result, and against all the best advice of my own best staff, I decide to outsource a large chunk of the integration, CRM, EAI, EDW and BI work to The Taffia Connection, work which I am assured will be carried out very cost-effectively by the offshore sister company Bogartsys (whose unofficial slogan at the time was ‘powered by gerbils, motivated by greed’) To be honest, I thought it was great; hell, my board thought it was great. You have to understand the mood of the times. It was all crazy. We were all crazy”. “Then over the following two years I lost all my friends, my staff who once worshipped the ground I walked on, loathed me, my cat Lucky died of loneliness and depression, my family refused to talk to me, and every now and then a stray dog would pee on the alloy rims of my two year old beamer”. You walk down the street, maybe in London, Paris and Rome. You look out of your spacious apartment in Manhattan, Unter den Linden or Mahim. You are cycling slowly along the streets of Amsterdam, Bonn or Zurich. Twenty years ago, you wanted a new bathroom, so you hired a building contractor to come in and build a bathroom of your own design. Far too few CEOs regularly think about IT on a habitual basis, and especially as something that is potentially integrated into everything their companies do and could do. This is however, not at all surprising, there is a general lack of time for any CEO to be always actively involved with what IT does and they will generally have some degree of misunderstanding of both the historic roles and the relative successes and failures of IT.